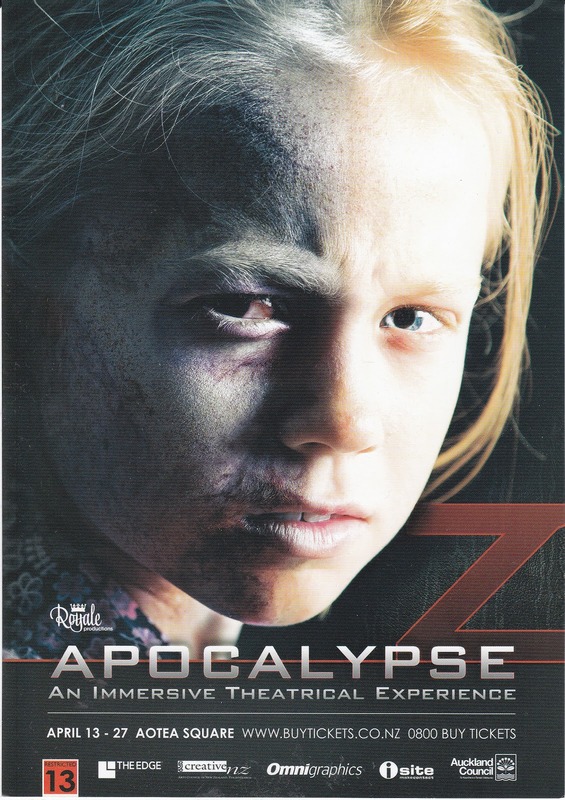 Apocalypse Z in Aotearoa Square. 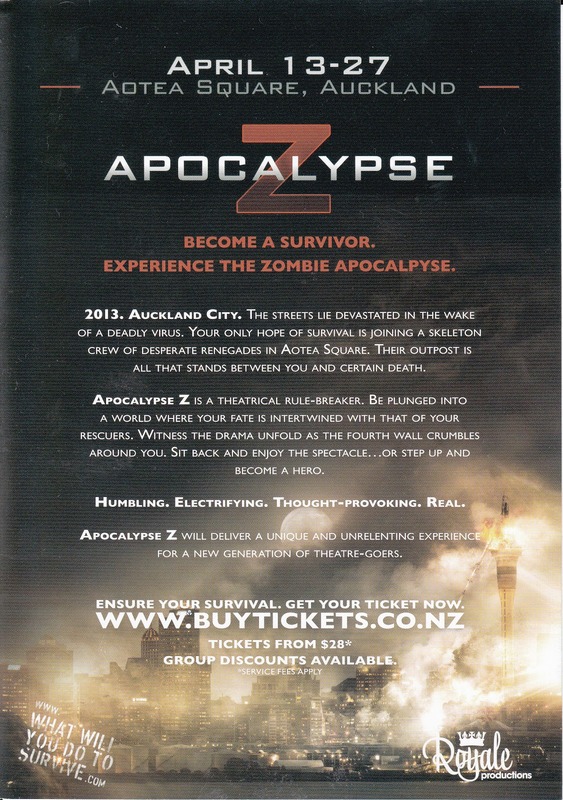 Went to the Apocalypse Z theatre in Aotearoa Square the other day. It's an immersive theatre experience that is designed to represent a survivor experience of a mass reanimation of the recently dead precipitating the collapse of society (unpretentiously zombies come alive) , such as portrayed in Romero's (1978) "Dawn of the Walking Dead" and recently the television program (2010) "Walking Dead". My favorite exposure to this genre is the Arma II mod Day Z and I kind of have high expectations for the Day Z stand alone product. The experience is interesting, designed to provoke suspension of disbelief and the consensual dehumanising rituals produced a liminal phase, done in ways familar to anyone who has the slightest exposure to the genre. The audience was quite young, including teenagers or a least the young of heart. For a while it looked like there may be a kind of intergroup competition between liminal groups in an extreme situation. Afterwards, over beer, it provoked a discussion with the friend who I went with. Still thinking about it, it was quite cool an experience, as a form of entertainment. Tickets & details on the link.